... 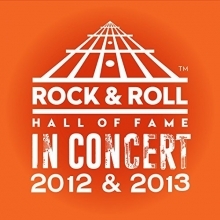 The ability to get right to the music makes Rock & Roll Hall of Fame In Concert enjoyable. 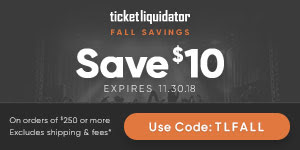 If I was forced to listen to the 8 hours of the E Street Band thanking everyone in New Jersey, I'd go nuts. But with a quick button push, we're back to the rock and none of the talk. It's a great sense of what you'd enjoy from a table at the induction ceremony and you don't have to eat the chicken. 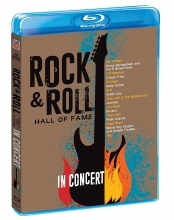 Coinciding with the video release, the Rock Hall is also releasing four digital albums consisting of induction ceremony highlights respectively spanning the ceremonies from 2010-11, 2012-13, 2014, and 2015 (available here). Highlights from Rush's 2013 induction ceremony are contained on the 2012-13 digital release, including 2112: Overture (with Dave Grohl, Taylor Hawkins & Nick Raskulinecz), Tom Sawyer, and The Spirit of Radio. The 2018 Rock Hall induction ceremony took place two Saturdays ago on April 14th in Cleveland, honoring Bon Jovi, the Cars, Dire Straits, the Moody Blues, Nina Simone and Sister Rosetta Tharpe. This past Wednesday, April 18th was the 5th anniversary of the aforementioned 2013 induction of Rush into the Rock and Roll Hall of Fame.